Over the roughly 20-year history of blogging, experts have struggled to answer the question so many online writers have raised. What is the optimal blog post length? As you might imagine, there is no one-size-fits all answer. Instead, there is a range of responses depending on the format, audience and purpose of your post. By their very nature, some topics require longer, more complex posts than others. Are you? providing step-by-step instructions for a specific task or delving into the history of Supreme Court confirmation hearings. If so, you’re probably not going to be able to hit all your key points in a few hundred words. On the other hand, some topics are best presented in a short, punchy format. Readers may enjoy brief anecdotes about your pet’s funny behavior or a strange experience you had at Starbucks last week. Those same readers won’t stick around for 2,500 words on either subject. When deciding how long to make your posts, you’ll need to consider the preferences of your audience. If your blog is well-established, you could conduct a reader survey to find out what they think about post length. You could also review the Google Analytics results for the posts that got the most clicks, shares and comments. Then, you can compare them to see if they share a common average length. If you don’t get a general consensus from your readers or your Google stats, you might want to try mixing it up. One option is alternating a few shorter posts with a longer one and then reassess after a few months. Unless you’re just starting your writing career, you probably have some sense of your personal style. When you sit down to write, do the pages simply flow? Do you find it easy to dash off a few paragraphs about a topic? But then do you come down with a paralyzing case of writer’s block when faced with a lengthy assignment? Your answers to these questions should guide you as you consider your post length. Rest assured that there is no “right” way to be a successful blogger in this regard. Some popular writers, such as marketing guru Seth Godin, have built a following with short but powerful pieces. Alternatively, bloggers like Neil Patel have established their niches by publishing epic 10,000-word online tomes. 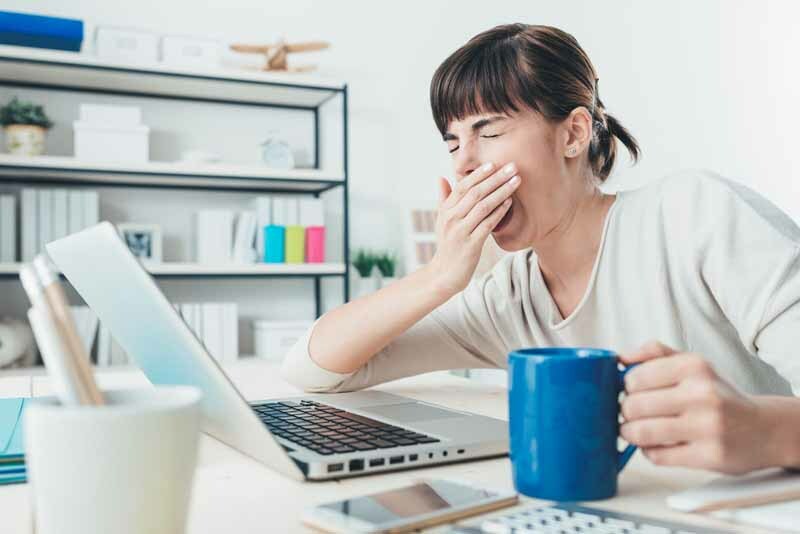 As a general rule, bloggers who publish frequently—say, five to seven days a week—tend to write shorter posts than those who may only publish a couple times a week. Very few writers possess the stamina or inspiration to publish 2,000-word posts every day. Even fewer readers have the interest or attention span to consume them all. If your editorial calendar leans toward more frequent posts, try to cap the average length at around 500 to 750 words. More importantly, be sure that you’re consistently producing high-quality content every time you hit publish. Posting just for the sake of posting is a surefire way to lose your audience. These days, online writers and marketers have more options than ever for sharing their content with a global audience. Each platform is designed to appeal to different audience demographics and preferences. You should tailor your content accordingly to achieve maximum impact with each post. Based on a study by online publishing platform Medium, a good blog post should take about seven minutes to read. With the average person reading at a pace of about 200 to 250 words per minute, that puts the ideal post length somewhere between 1,400 and 1,800 words. Beyond that, posts begin to lose their audience. Of course, you’ll also need to factor in any photos, charts or other graphic elements that absorb readers’ attention. However, these are more likely to help alleviate reader fatigue than add to it. The below graph from SerpIQ shows the average length of content for the top ten results for a variety of search terms. It shows that the average across the board is usually relatively higher in word count than as the positions decrease in value. In addition to adding graphics, you can also make longer posts more readable by keeping your paragraphs short (three to five sentences at most) and breaking up long stretches of copy by incorporating bullet points, section headings and white space. This structure allows readers to scan your content for important points even if they don’t have time to read the entire piece. If your points are compelling enough, they just might come back later to read it more carefully. While some social media sites cap content at a certain number of characters, very few set a minimum. This leaves you to decide whether to use all of the characters allotted to you. 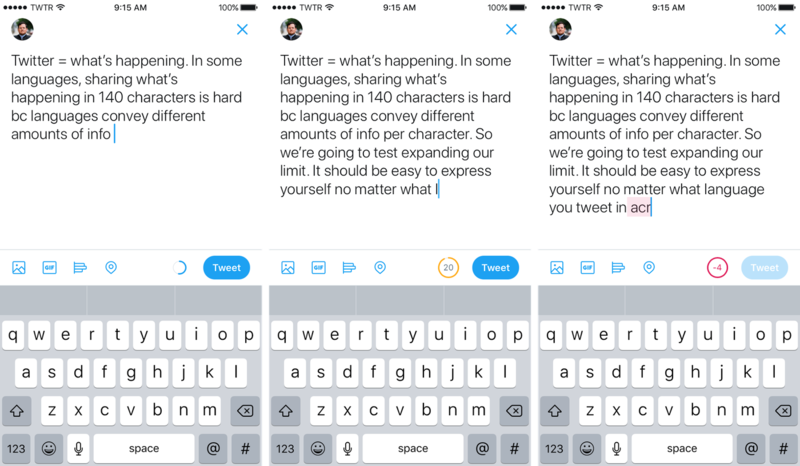 For example, Twitter recently expanded its maximum per-tweet length from 140 to 280 characters. While it doesn’t take much effort to use all of them, research shows that restraint can pay off. Tweets around 75 to 100 characters garnering the most engagement. Though it may be tempting to use up all 140 characters allotted when tweeting, data suggests limiting tweets to 100 characters is best for engagement. According to Track Social, tweets between 72 and 100 characters were most likely to be retweeted. Tweets fewer than 100 characters garnered a 17 percent greater engagement rate based on data from Buddy Media. If you’re retweeting content, be sure to include at least a brief comment or question to add your perspective and encourage interaction from followers. You’ll need to factor in the length of the original tweet when adding your own message. This helps to ensure you hit the character-count sweet spot. On Facebook, including an image is the most effective way to inspire engagement with your readers. However, with or without a photo, text length still matters. A comprehensive study by Blitzlocal showed that long posts (160 characters or more) received significantly less engagement than shorter posts. With this, the ideal length falls somewhere between 100 and 120 characters. According to research by Microsoft, the average adult attention span is now just eight seconds—even shorter than that of a common household goldfish, which can apparently maintain its concentration on a single stimulus for a full second longer. With so many distractions competing for our limited attention, it’s important to err or the side of brevity when creating a video or podcast—especially if you plan to embed it in a more traditional text-based blog post. A study by Wistia showed that videos with a length of 30 seconds or less have a bragworthy completion rate of about 85 percent. Beyond that, completion rate declines with every additional second in length. The same study also showed that audiences decide fairly quickly whether or not to continue watching a video, so if you can’t reduce its length, you should at least consider front-loading the most critical information to ensure that it reaches the largest audience possible. Viral video guru Clinton Stark has also shared that Google researchers have pegged the ideal length of YouTube videos at somewhere between 3 and 3.5 minutes long, so it’s probably a good idea to look at that as your absolute cap in terms of length to avoid losing your viewers. Audio-only podcasts can get away with a bit more length, since they don’t demand the same multisensory focus that videos do, but keep in mind that research by media company Stitcher indicated that podcast listeners’ attention tends to wane after about 22 minutes. Most bloggers have very specific goals for their content: some want to gain more readers; others crave increased interaction in the form of social shares and comments; still others seek to pack a more powerful SEO punch. Not surprisingly, each of these goals demands a different post length. And if your goal happens to be growth in all of these areas, you’ll need to prioritize each one and address your word count accordingly. If you’re hoping to generate enhanced discussion on your blog, shorter posts of 200 to 300 words are usually the best approach to take. They allow readers to focus on one main idea, challenge or question and provide them ample time to develop a thoughtful response. Adding a prompt or question at the end of your post is essential for inviting reader feedback. A caveat to consider with short posts: while excellent at generating discussion, they rarely rank well in searches. They also typically don’t get shared as much as longer posts. Posts around 1,500 words or longer tend to get the greatest number of shares on social media. Several studies have indicated that posts at least this length receive nearly 70 percent more Twitter shares and almost 25 percent more Facebook shares than shorter posts. Still, don’t forget that quality matters as much as quantity. Also, your post will still need to offer a compelling headline and relevant content that resonates with your readers. Search Engine Optimization (SEO) can be a challenging and unpredictable field. While it offers handsome rewards to writers who learn to master it, SEO can also devour massive amounts of time and energy that could be better spent elsewhere. However, if improving your online search results is your primary goal, blog length can play a pivotal role in your success. Search engines tend to favor long, in-depth posts packed with authoritative research. A study by serpIQ looked at the search engine results of more than 20,000 keywords. It found that the 10 top-ranked pages were all at least 2,000 words long. The top three articles clocked in at more than 2,400 words. In part, these results are due to the fact that longer content gets more linkbacks, This in turn boosts search engine ranking. When writing to maximize SEO performance, you’ll also want to consider other blog content areas length, such as title tags and meta descriptions. Title tags not only show up in SERPs (search engine results pages). They also help grab searchers’ attention to encourage them to click on your content. If a title tag is too long, Google will shorten it for you, with most cutoffs occurring at 57 or more characters. Keep your title tag to 55 characters or less to minimize your chances of being truncated. Like title tags, meta descriptions—brief sentences that sum up your content for readers—show up on SERPs. They are subject to abbreviation if they exceed Google’s preferred length. Keep these between 150 and 160 characters to avoid being cut off mid-sentence. 75 to 300 words: Very short pieces are best for social media posts and blog posts designed to generate discussion. 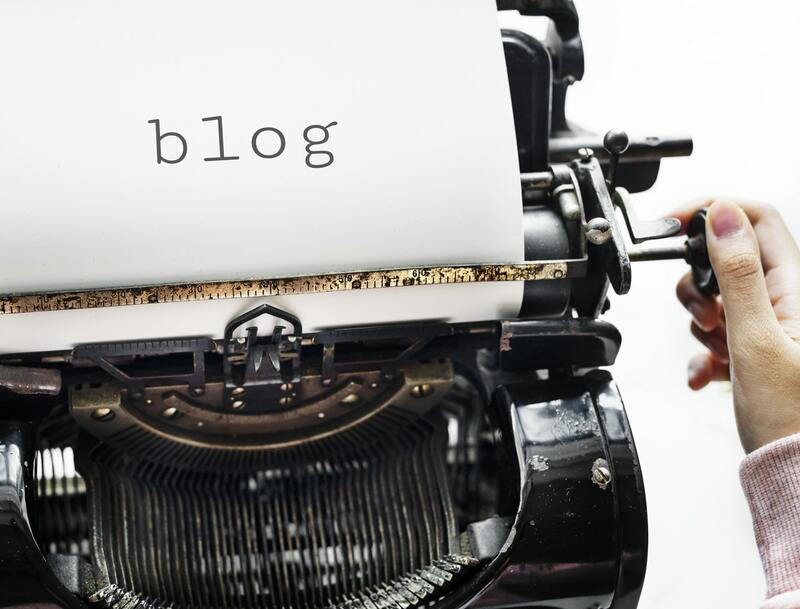 300 to 600 words: Traditionally considered the “ideal” length for blog posts, this length is best if you maintain a high-frequency posting schedule (five to seven posts a week or more). 750 words: This is the typical length of a professional news article and the bare minimum for earning linkbacks and social media shares. 1,000 to 1,500 words: This length may slow down your comment activity a bit, but it’s also more likely to garner activity via social media and other sharing. 1,500 to 2,500 words: While this length may seem a bit daunting from a writing standpoint, it’s optimal for maximizing search engine ranking. 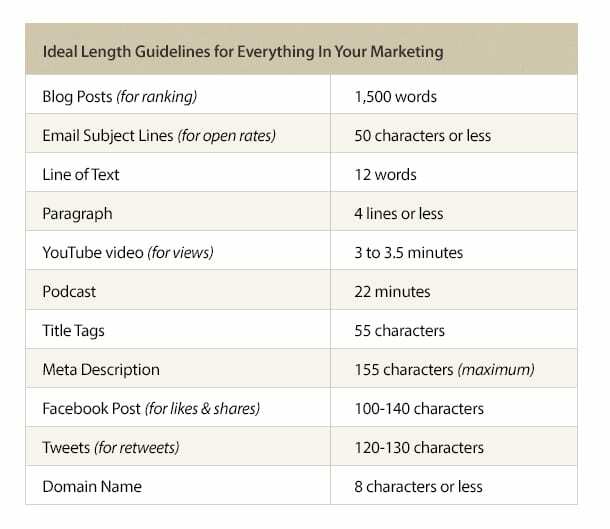 When it comes time to put words on the screen, keep in mind that these numbers are simply guidelines, and that dozens of factors can impact how well your blog post length is received by readers (and search engines). Your primary task is to create high-quality content on topics that truly matter to you. Length matters, but quality will always matter more.